Mr Price Group is a fashion value retailer, selling predominately for cash. the Group retails, apparel homeware and sportware and is one of the fastest growing retailers in South Africa. 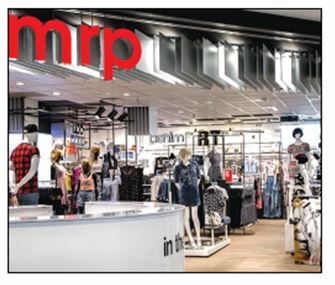 mrp is a leading fashion retailer that provides an inspired range of differentiated, on-trend clothing, intimatewear, shoes and accessories to all women, men and children that offer distinctive market leading value. The chain targets young and youthful customers who love fashion and appreciate exceptional value. An omnichannel approach is used to leverage multi-markets, together with all social media platforms to engage with customers. mrp has a team of unique associates who are focused on surprising and delighting its customers in everything it does' they have an incredible work ethic and passion for the business. The strategy going forward supports the vision of becoming a top performing international, sustainable fashion-value retail brand. Significant investment has already been made in securing and up-skilling human resource capabilities, improving merchandise buying and planning processes, acquiring new systems and streamlining resourcing and logistics. Solid progress is being made on mrp's strategy to expand into new markets and it is focused on ensuring and implementing a seamless and robust omni-channel business model that allows it to trade in many countries. mrp has plans to improve its customers' shopping experience, and to further enhance its level of ontrend and differentiated product. The chain is a value retailer selling a range of affordable, own-branded sporting and outdoor apparel, equipment, footwear and accessories. The target market is valueminded sports and outdoor enthusiasts, from age 6 and upwards, primarily within the 8 to 10 LSM range (upper). Investment in resource and supply chain capabilities and the growth of direct imports has improved mrpSport's visibility into the supply pipeline and this transition is ongoing. There is still significant store growth available to the chain in South Africa, both in current and smaller formats, and space growth of 5.1% is expected in the new financial year. This chain retails a focused assortment of own brand women's clothing, intimatewear, shoes, bags and accessories which are of good value, trend right, differentiated and of flattering fit. The customer is a 35+ family orientated woman who knows who she is and what she wants. She shops for fashion that makes her look and feel good. She is in the LSM 6 to 10 range and appreciates good quality and comfortably fitting garments. Due to her family and financial responsibilities, the Miladys value for money offering is important. Style and co-ordination is provided through an exciting and vibrant window and in-store experience. The chain sells contemporary in-house designed, fashionable homewares and furniture to value minded customers, with a young-at-heart attitude. The primary customer is a fashion-value minded female, aged 25 years and older within LSM 8 to 10 (upper), who loves to decorate her home. With the insight of past results, expected future local and international trends and customer feedback, the chain constantly aims to delight its customers with innovative products at everyday low prices. Independent research conducted by Nielsens reflects that mrpHome is the most loved and frequented homewares retailer in South Africa with the highest level of brand awareness in the sector. Looking forward, mrpHome aims to delight its customers by focusing on three key areas, namely superb product selection, outstanding value and a pleasant and compelling omnichannel experience. The strategy also includes a focus on improved resourcing and supply chain capabilities, to ensure that unnecessary costs are eliminated, further strengthening its value positioning, and to facilitate growing market share within southern Africa and beyond current geographic locations. 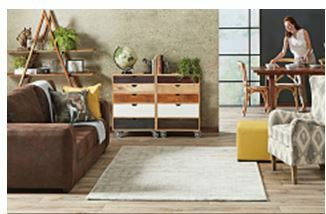 The chain is a value retailer offering a range of affordable home textile and décor products for bedroom, livingroom, bathroom, kitchen and dining-room. In particular, it prides itself on providing exceptional value to middle income households (LSM 5 to 8) who can create a home they love at a price that they can afford. South Africans love and trust Sheet Street for providing freshness, co-ordination and helpful tips in store, in catalogues and online. Sheet Street online gives home shoppers access to over 1,000 products 24 hours a day and seven days a week, with delivery direct to their doorstep. Despite the tough economic indicators for the mid-LSM customer, the business is in good shape and it is expected that sales and operating margins will continue to increase in line with targets. The headwinds and increased competition help to focus the team on what is important and encourage an environment of constant innovation and adaption as customer needs are satisfied. To be a top performing international retailer. To add value to our customers' lives and worth to our partners' lives, while caring for the communities and the environments in which we operate. "Our dream is to work together to make our Company the top performing retail group and to use the success of our Company to help our associates and partners acquire decent homes and provide proper education for their children."